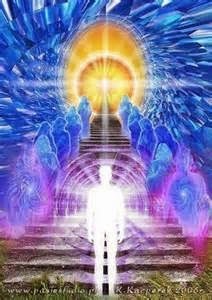 On November 11, the exalted moment of 11:11 for this year, the Archangels hold the Celestial Gateway open so you can access your Golden Template of Light — the 5th dimensional template for your new crystalline light body holding the frequencies for full divinity within your human form. 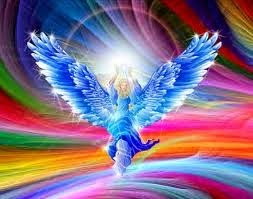 As you step through the Gateway, you are fully supported by the Angelic Dimensions to anchor this divine template of Light into your human form. It has been divinely decreed that on this day of 11-11, your new Golden Template is activated for you to fully download into your life. When you have the preparation established within you, it is exhilarating to step through the portal provided by the Archangels during this 11:11 opening. The Gateways of Power are clear entries established on inter-dimensional levels, to create alignment within your energy systems. 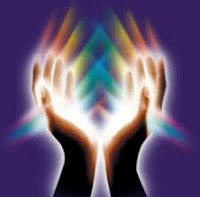 You are being offered an empowerment so you can feel the operation of higher frequencies in a condensed moment of time. Once you sense the alignment within yourself, you are forever changed. You can claim this empowerment, access these exalted states that exist beyond the Gateway and use them to bless your own life and all of humanity. On November 11, your Golden Crystalline Template is activated to be grounded into the new frequencies of your human body through access to the pathways opened by the Archangels. Archangel Gabriel, Michael, Raphael and Sandalphon stand present as they hold Divine Light in massive pillars at the gateway that opens for you during this sacred moment in time. Archangel Sandalphon holds frequencies of Earth’s crystalline grid so you can anchor and become familiar with the new 5D energy systems. Archangel Gabriel holds the power for Balance of the sacred masculine and feminine to awaken on the Earth, which allows Unity consciousness within each man, woman and child. Archangel Michael offers you the courage to step into your highest potential as a blended divine human in 5D consciousness. Archangel Raphael offers immersion into the Light of Divine Love that permeates every cell and brings into you the highest frequency your human form can integrate in this sacred moment of 11:11. Bring the Soul’s vision from your Higher Self for the new life you desire to awaken into your conscious awareness, honor it and hold it in your heart. Invite the Archangels for assistance to anchor the higher 5D frequencies very gracefully into your human form. Ask to be in Harmony with the new crystalline Golden Template as decreed by your Soul’s original blueprint to bring divinity into your human form. Take sacred time during the 24 hours of November 11, most especially at the moments a digital clock displays 11:11, to anchor these intentions and visualize the Gateway of Power. The Archangels standing guard over the gateway are holding this expansive Portal of Golden Light open for you. 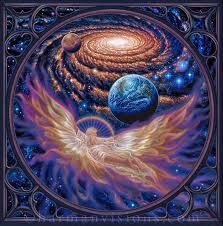 See them standing there; massive wings of Light expanded in dedication to your own evolution and that of the Earth. These great Archangels are bringing to you a blessing from God. When you walk through this gateway, holding the vision for new life of Peace and Harmony on the Earth, you align with the forces of all Creation, and a high level of Unity fills your world. That which does not align with these new frequencies of energy drops away. The old frequencies and energy systems cannot exist simultaneously, when your Soul becomes aligned with its purpose in an empowered, integrated way. 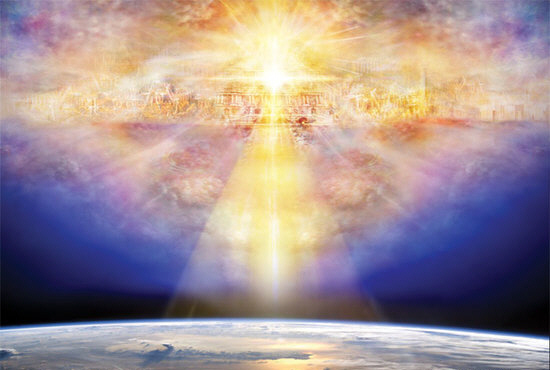 In the holy instant of profound opening, the Gateway of the Archangels awakens your divinity into alignment with your physical form, as you step into the 5D Golden Template for new life on Earth. Know that as you claim this for yourself, these frequencies bless all of humanity in this moment of awakening. The greater intention for this 11:11 empowerment has always been to ground Divine Energy into the depths of the Earth so that planetary evolution will prevail. As millions of awakened people access the Divine Light through the Gateways, Unity consciousness is the resulting force pervading the hearts of all humanity. Never doubt the miracle of Spontaneous Evolution as a creative possibility during the fifth dimensional shift occurring on this planet. The flow of Divine Love through each person creates an expansion in perception when the veils have parted, so that new clarity dawns. This increase in clarity incites a sense of liberation and the freedom of spiritual expression within your being. Prayers for planetary well-being so the Earth and all humanity can also receive from this moment in time will be of great benefit. Asking for miracles is very appropriate when you are in the celestial gateway between Heaven and Earth. The release of pressure from the 11:11 Gateway is similar to the beginnings of a horse race when the horses are being held within the gate. As the gates are flung open, raw power surges forward and instincts take over. The rawness of this power requires careful training and guidance, so that it moves in directions that allow specific goals to be reached and the reaping of rewards. Your prayers and intentions are the key to this process. 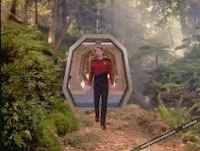 As you walk through the gateway, symbolically or literally, you will leave behind outmoded forms and patterns of existence that do not fit your new Golden Template of Light or the energy stream of Unity Consciousness occurring on the planet at this sacred time. Create the model of your new life through your intentional setting forth of exalted ideas, even if their form is still unclear. Lift your vibration through prayer, inviting the guiding wisdom of your Soul and the Archangels to lead you. Embrace the new level of your inner being merging with your most Divine Self, and invite Archangel Sandalphon to help you anchor it on the Earth. Although the path on the other side of the 11:11 Gateway of the Archangels may not unfold for you all at once, you can be shown a glimpse of a new vision to give your heart a burst of hope. Do know that as you walk through this portal, you are aligning with the Beings of Light who guide you, and you are never alone. Your demonstration of this intention to live in harmony with your new Golden Template of Light, allows you to receive greater guidance and sets the patterns of Unity and Harmony within your being. This empowers you to experience greater Faith as you take the next steps and the next on your path into an unknown future. Know that you have aligned with your Soul’s Purpose and are being guided every step of the way. 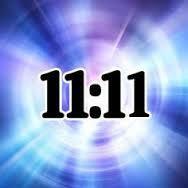 Gateways of Power are moments of clear invitation when Divine energies are aligned to support you. Retraining and guiding the fearful thoughts that plague your days are only a prayer away. Each prayer raises your frequency of energy and could be the one that unleashes the critical mass for Spontaneous Evolution on the planet. Imagine that your prayer is the turning point — the key that fits the doorway to Unity within you and within all beings on the planet. As I prepare to be guided through this 11:11 Gateway of Power, I ask that the Light of Divine Love clear any disharmony within my energy field. I willingly let go of the burdens of old beliefs so I may stand tall and move freely through the gateways to Unity Consciousness. I joyfully invite the Golden Template that holds my 5D Crystalline Body to integrate my human form as is in my highest good at this sacred time. Within the spaciousness of my cleared energy field, I ask that it be filled with the power of Divine Love, Harmony and Peace. I ask to receive and radiate the strength and courage to embody this Divine Light and ground the presence of Love, Peace and Wellbeing into the Earth to assist its evolution. I awaken in your Light and embrace the Divine gifts being offered to me now with supreme Gratitude. You are giving me the Divine Connection to greater life and I gratefully receive this. I am honored to anchor this Light on the planet to bless all of Nature. As I bring loving awareness and respect for the Earth into my consciousness, all of humanity awakens into this requirement for new life. Hold me with Love and guide me as I step through this gateway into the Golden Template for my crystalline body. With every step, may I use your Divine Love to bring greater Life, Peace and Joy through my being so I may be a blessing for the Earth. For this and all the blessings I am receiving, I say Thank you.